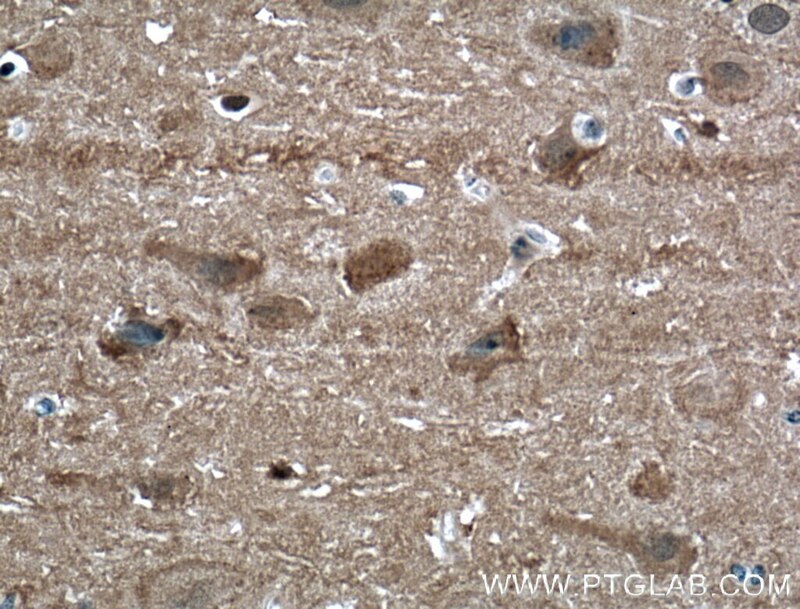 Immunohistochemical analysis of paraffin-embedded human brain tissue slide using 12925-1-AP( NCALD antibody) at dilution of 1:200 (under 10x lens) heat mediated antigen retrieved with Tris-EDTA buffer(pH9). 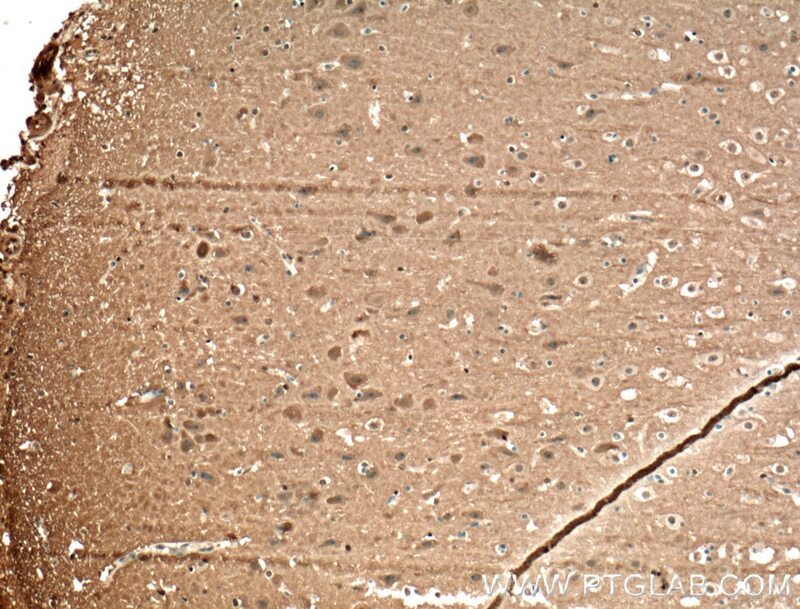 Immunohistochemical analysis of paraffin-embedded human brain tissue slide using 12925-1-AP( NCALD antibody) at dilution of 1:200 (under 40x lens) heat mediated antigen retrieved with Tris-EDTA buffer(pH9). NCALD belongs to the recoverin family. And it is a member of the EF-hand calcium-binding protein superfamily. NCALD may be involved in the calcium-dependent regulation of rhodopsin phosphorylation. It plays an important role in the regulation of the neuronal signal transduction process. NCALD is a likely candidate for conferring susceptibility to diabetic nephropathy. Gsx2 controls region-specific activation of neural stem cells and injury-induced neurogenesis in the adult subventricular zone. Upregulation of long intergenic noncoding RNA 00673 promotes tumor proliferation via LSD1 interaction and repression of NCALD in non-small-cell lung cancer.